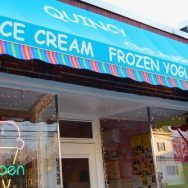 It’s still hot and there is more ice cream in Quincy. Join us to visit 2 different ice cream shops. Be sure to bring cash for you treats!